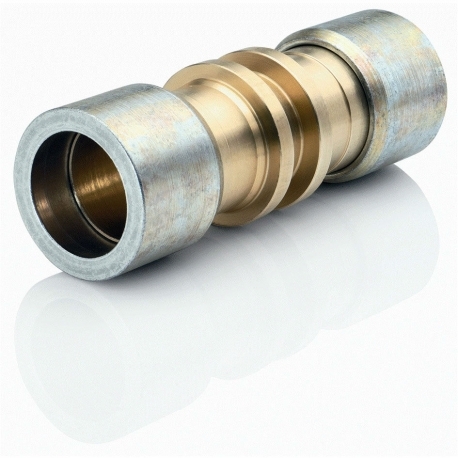 For connecting copper and/or steel tubes with identical tube outer diameters.The patented LOKRING tube connection system provides an innovative system of solder-free tube connections for every installation situation in refrigeration and air-conditioning technology. LOKRING tube connections can be made without a great deal of force being necessary, using simple hand assembly tools. LOKRING guarantees an absolutely clean, permanent and purely mechanical tube connection with long-term hermetic air-tightness. This is confirmed by the special TÜV test and approval. All this makes LOKRING tube connections one of the most economical and reliable methods of connecting refrigerant tubes.